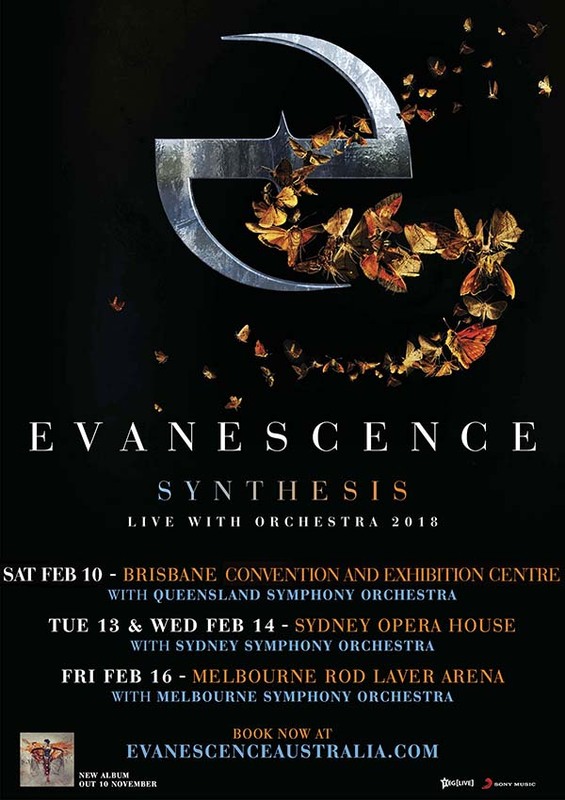 Two-time Grammy award-winners Evanescence have announced an Australian east coast tour, Synthesis Live With Orchestras, to celebrate the band’s fourth studio album Synthesis, due out Friday 10th November. My Ticketek tickets on sale 12pm Friday 6th October until 9am Monday 9th October. General public tickets on sale 12pm Monday 9th October.